Full Day based on 8 hours. - To Angthong Marine Park or Koh Samui : Price is 80,000 THB(Exclude VAT). 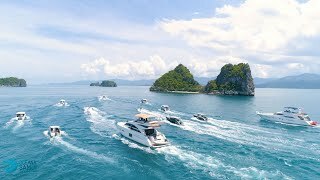 - To Koh Tao & Nang Yuang : Price is 90,000 THB(Exclude VAT). - Round trip Minibus transfers. - Cool beverages and snacks. - Lunch for all guests. - Admission fee for all guests. Half Day based on 4 hours. - Half day to Koh Phangan : price is 50,000 THB(Exclude VAT). - Based on 6 guests, EXTRA GUEST 4,000 THB per person. Maximum 10 guests. - Extra cost for direct beachfront pick up and return depending on location. - Scuba Diving is charged at 5,000 THB for certificated drivers and 6,000 THB for non-certificated drivers which both included instructor. - Additional 3,000 THB(Exclude VAT) for Extra Hour per hour.